The Young Messiah, a highly-anticipated new film about the life of young Jesus, which is slated to hit theaters just in time for Easter, and promises to inspire and encourage viewers of all ages. Written and directed by Cyrus Nowrasteh (The Stoning of Soraya M.) and starring Sean Bean (Lord of the Rings), Adam Greaves-Neal, and Sarah Lazzaro, the film is based on the Anne Rice novel, Christ the Lord: Out of Egypt. 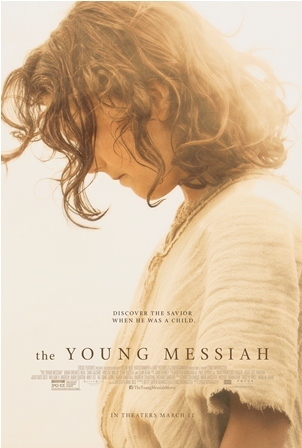 In The Young Messiah, viewers are given insight into the life of a 7-year-old Jesus Christ as he grows to understand his nature and divine purpose. In the film, young Jesus and his family are forced to leave Egypt for their homeland in Israel. His earthly father Joseph and his mother Mary try to protect their son from knowing the truth about his divine nature to protect him from the dangers of the world, as he is hunted by the evil King Herod and his Roman forces. 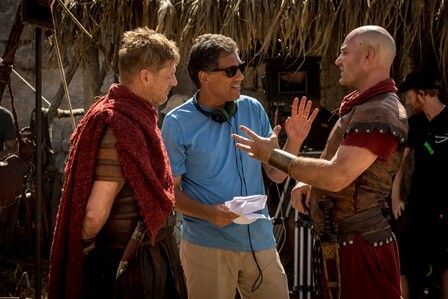 Cyrus Nowrasteh pictured on the set of “The Young Messiah. The film beautifully depicts Jesus’ relationship with his parents, Joseph and Mary, his friends, and his extended family — all of whom are away of his divine nature. Filmmakers skillfully portray the child’s love and respect for Joseph and his special bond with Mary and desire to feel safe in her arms. In a number of particularly poignant scenes, Mary is shown grappling with the desire to keep her son safe — but also share God’s will for him. However, at one time, he wondered if his faith wasn’t deep enough to make the biblical drama, as it almost did not make it to the big screen after losing millions before it was even released. The Young Messiah hits theaters March 11, and is rated PG-13 for some violence and thematic elements. While the film is overtly faith-based, Nowrasteh is encouraging people of all beliefs to go see it, as he is confident it will appeal to both religious and secular audiences.